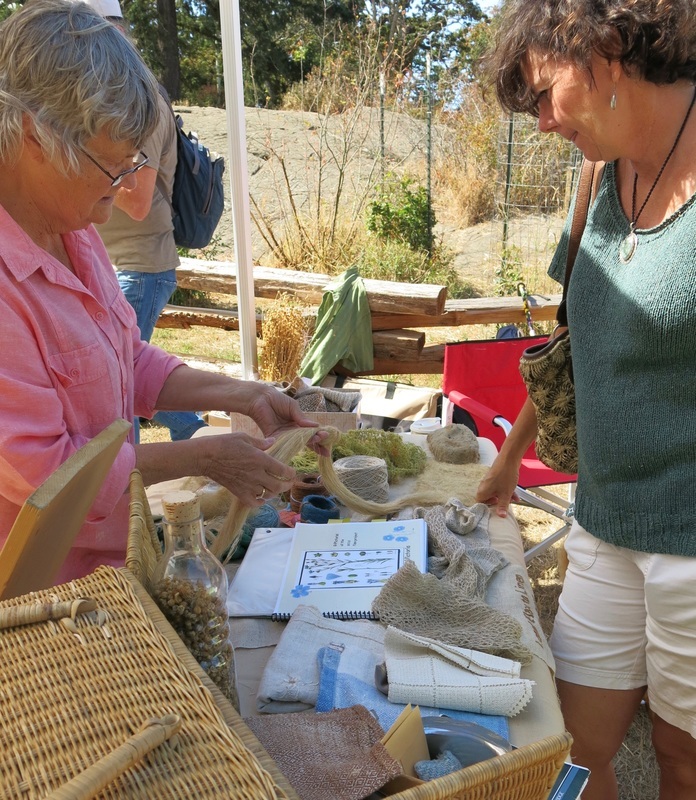 Fibrations 2016 featured the skills and talents of over 60 fibre artists in an outdoor marketplace. Visitors to this free family event delight in the abundance of original creations, demonstrations and workshops. On August 21, the event unfolded in Porter Park, a spacious green area behind Sir James Douglas School. On August 20, the day before Fibrations, workshops happened at the Garry Oak Room, 1335 Thurlow, and Knotty by Nature, 1704 Lillian Road. Visit bottom of webpage for weekend schedule. Fibrations is organized and sponsored by Knotty by Nature Fibre Arts. Other sponsors include Thrifty Foods and all the vendors. Stephanie Papik and Ryan Davis founded Knotty by Nature in 2008. Their award-winning business sells fibre supplies at 1704 Lillian road in Fairfield. Knotty’s inspirational workshops have introduced many people to the joys of knitting, weaving, needle felting, wet felting and spinning. “Connecting people and creating community through the fibre arts is our ongoing mission,” says Stephanie. Ryan and Stephanie are proud of the volunteer-run festival which celebrates shared leadership. “Everyone pitches in and the work gets done,” says Ryan. At Fibrations there is pooling of knowledge through workshops and chatting. This empowers people. Fibre artists come from all walks of life: engineering, computer science, government, bankers and bakers. 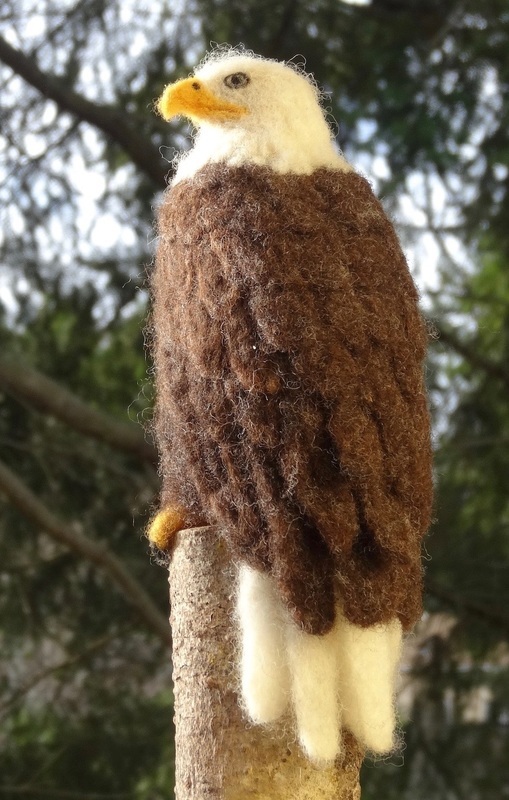 “Fibre arts connect people to the earth offering balance and grounding,” says Stephanie. Stephanie Papik is of Inuit, Inupiat and Australian descent. In her travels around northern Canada and British Columbia she hears messaging from Elders: “Follow your heart’s desire for self-expression and in the creation contribute to community.” Recently, Stephanie has joined with around 50 other Inuit women. They aim to reclaim identity and reaffirm connections to ancestors through traditional practices. She now wears tattoos like those of her great great grandmother. Tattoos were worn by all Inuit women before European contact. The designs mark life passages, tell stories and offer teachings on the value of traits like forgiveness and generosity. Below: Larry New and Catherine Mick are members of the Victoria Weavers and Spinners Guild. Members of the guild are active at Fibrations, sharing tips and techniques with visitors. In this photo, they check over Larry’s latest knitting project, a stylish maroon sweater. Catherine Mick is a retired school teacher who took up designing clothing at age 65. She has toured several countries demonstrating her inventive technique of ripping apart fabrics to make one-of-a-kind recycled yarns. “I can make elegant designer clothing that is unique and affordable,” she says, modeling one of her creations. For Catherine, finding new life inside fabrics is a joyful experience, much like working with children. 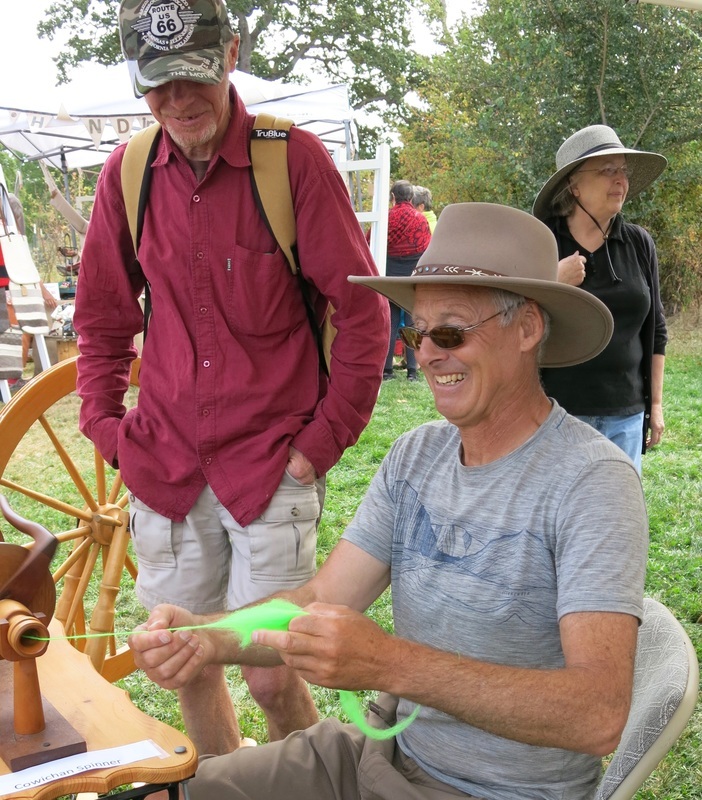 ​Larry is also a wood worker and makes hand turned equipment such as bobbins, hooks and nosty pins for spinning wheels. All products available at Knotty by Nature. 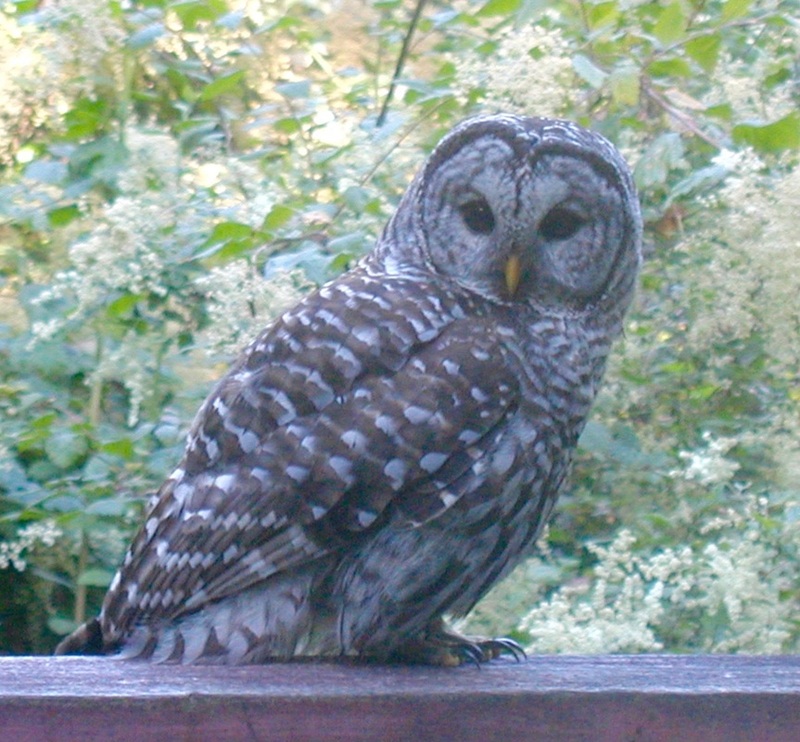 Aki and Akiko are inspired by the abundance of wildlife on Salt Spring and are keen observers of the natural world. 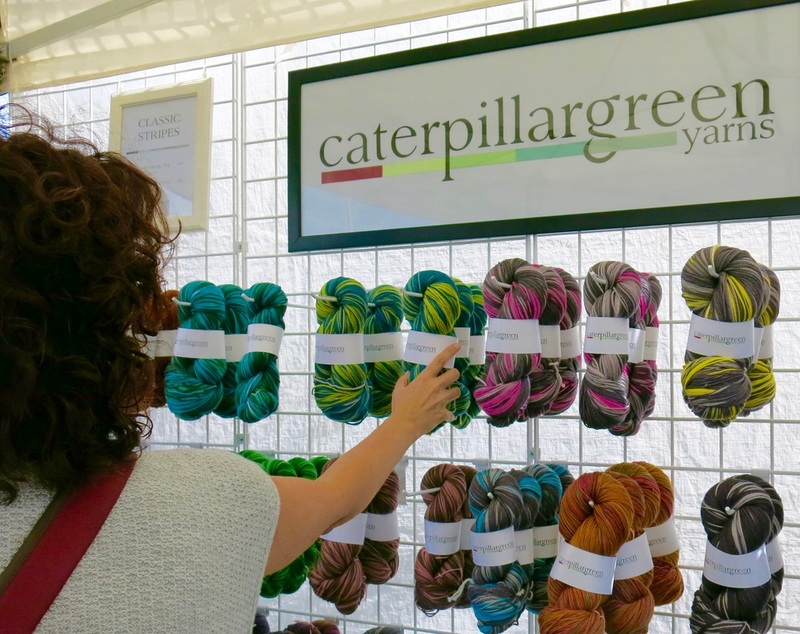 They look forward to meeting both customers and other vendors at Fibrations. “I do felting because of the joy it brings me and other people, Aki says. I really love to see people smile.” The couple’s three children get involved by making their own creations and felting with friends. Felted musicians practice for Fibrations. 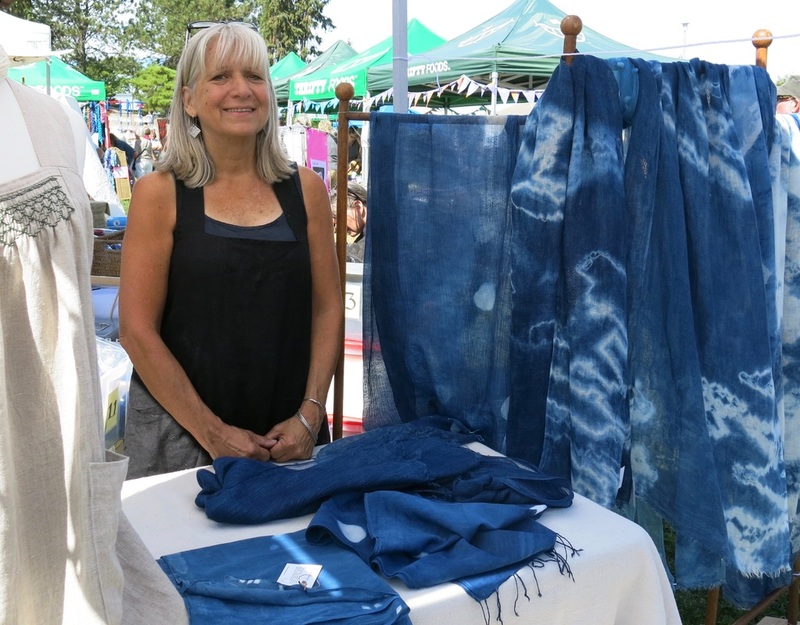 ​ Below: Tanya Schley and Sue Doutre are excited about being first time vendors at Fibrations. They took nuno scarf-making classes in spring 2016 from Ryan and became enamoured with the process. Both are busy women with family and careers, and find the creative outlet inspiring and relaxing. Tanya and Sue enjoy the variety of materials and techniques and find working with the warm soapy water restorative and calming. “Within a short time, we can make something beautiful, simply from fibres, says Tanya. It’s completely up to me what I create, and it’s so satisfying.” Sue delights in blending the colours and the limitless design options of nuno felting. Shibori Silk Bracelets and Earrings by Tanya Schley. Left to right: Tanya Schley and Sue Doutre. The entrepreneurial women encourage others to try a class or workshop at Knotty by Nature. “Ryan and Stephanie have created a remarkable community around their shop, says Sue. Everyone associated with Knotty by Nature is enthusiastic and willing to help with lots of patience.” The inviting atmosphere caters to a wide range of people from children to seniors. Nuno-felted scarf by Sue Doutre. 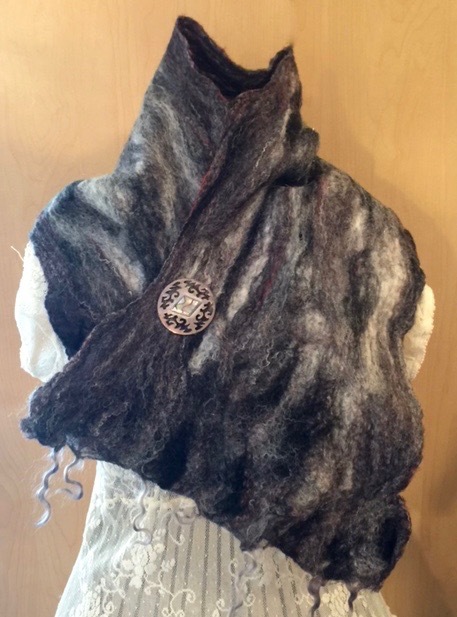 Nuno-felted scarf by Tanya Schley. Saturday August 20th (Knotty by Nature) Two workshops with Caitlin ffrench: Stovetop Natural Dyeing & Solar Dyeing. 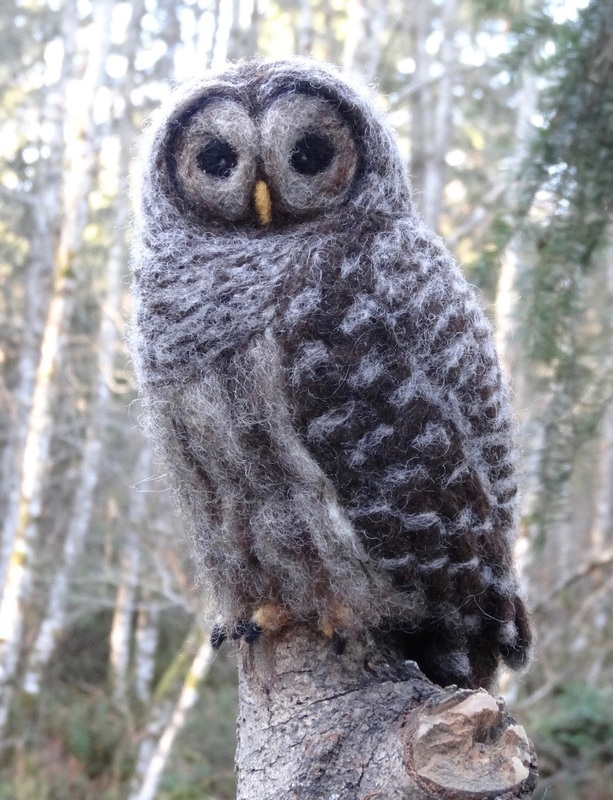 Fibrations Demo Schedule: Needle Felted Fruit With Claudia Lorenz: Caitlin ffrench’s recent trip to Iceland; Crochet Lab with Del and Dela; The History of Fibre with Brenda Nicolson. Fibrations 2016 was a great success! Events and workshops were well-attended. 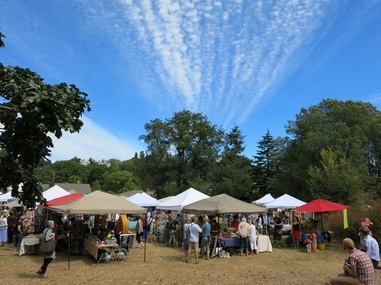 Sunday August 21 was a perfect summer day, allowing vendors, guests and participants to enjoy the beautiful grounds and festivities. Some photos of the Sunday festival and Saturday workshops follow. Stephanie Papik and Ryan Davis at Fibrations 2016. Saturday workshops hosted by Nancy Wesley George and Caitlin ffrench.